Want the perfect humidity level for any season? Take a look at the Aprilaire Model 600 whole-house humidifier. 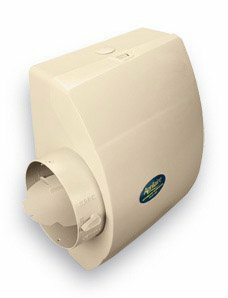 The Aprilaire Model 600 whole-house humidifier features fully automatic controls with built-in bypass damper, which means fewer parts to install, easy setup and faster comfort! The bypass damper features conveniently labeled summer and winter settings, meaning you can set it for the entire season without any of the guesswork. The Aprilaire Model 600 whole-house humidifier is by far the best performing bypass humidifier on the market. The Aprilaire Model 600 Whole-House Humidifier is simply the best performing bypass humidifier on the market. If you want total comfort all year round, let Rick’s Heating & Cooling install an Aprilaire Model 600 whole-house humidifier in your Maineville, Morrow, Lebanon, Mason or Loveland, Ohio home! What is a bypass humidifier? Bypass humidifiers, also called flow-through humidifiers, work by dripping water through a foam or expanded aluminum pad. Air flows through the pad and picks up moisture, carrying it through your ducts and all throughout your home. Any water that isn’t collected by the air flows into a drain at the base of the humidifier. The pads of your bypass humidifier system should be changed once a year to prevent clogging up or accumulation of mold.